We are still helpless in the face of Mother Nature’s wrath. You see it time and again with the number of casualties each time the elements act up. Whether it be fire, water, wind, or movements emanating from deep in the earth, not all the time can we predict when these tragedies will happen despite the many tech advancements we have now achieved. In reality, nations are actually spending a lot on tech measures to help the people prepare for these eventualities as well as the actual damages we actually incur each year. It is already a billion dollar loss in the US alone and the figure is expected to go high with the progress of climate change and global warming that we haven’t really fathomed just how disastrous these natural calamities can further become. Weatherwise, it’s already been a disastrous start to the year in the U.S., even before the tornado season ramps up and long before any direct hits from hurricanes. In just the first three months of year, the U.S. has endured three separate weather disasters that each caused at least $1 billion in damages, the National Oceanic and Atmospheric Administration (NOAA) announced Friday. The events included a severe storm outbreak in the Southeast in March and two winter storms in the central and eastern U.S. in January and March. At $1.8 billion in damages, the costliest event so far was the nor’easter that walloped the Northeast on March 1-3, killing 9 people. The damage from the storm was due to high winds, heavy snow and coastal erosion, NOAA said. It’s not even half of the year yet but the damage left behind by the disasters we have seen this year have already totaled to three billion and they are mainly caused by winter storms. Now spring has come and other parts of the country will soon be at risk of disastrous tornadoes and we can count on seeing more calamities as the months go by although we hold on to that glimmer of hope that we will be spared and no more lives will be lost. What do we learn from these events? First, Mother Nature is unstoppable. Second, we are insignificant in the face of these disasters. Third, it is not yet too late to do something about it and salvage whatever is left in the planet for the future generations. From 1980 to 2017, an average of six climate disasters costing over $1 billion struck the U.S. each year. But in 2018, three billion-dollar disasters have already hit — and it’s only been three months. 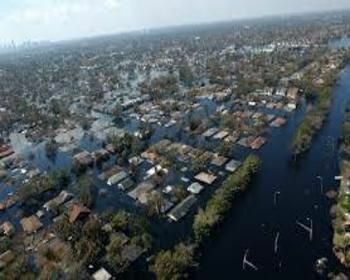 A report from the National Oceanic and Atmospheric Administration shows how the number of massive climate disasters has skyrocketed in recent years. Over the past five years, for example, there’s been an average of 11.6 billion-dollar climate disasters per year — nearly double the overall average since 1980. In 2017 alone, there were 16 billion-dollar disasters. In fact, back-to-back hurricanes and other extreme weather cost the U.S. more than $300 billion last year — a new record, per the NOAA. The world is going through a rough patch and we can’t ignore the fact that humans contributed greatly to this misfortune as we sped up geographical changes that took place for decades or centuries in the past to a mere months to years today because of irresponsible human behaviors that we just can’t seem to let go until today. Considering the growing number of material possessions we now own, the damage will only be higher and one can only imagine what a turmoil it will be in the face of massive floods and widespread earthquakes with the highest magnitudes. Well, we aren’t praying for such things to happen but we can never really tell for sure when they do even if we have some of the most sophisticated machines on land today. What we can do is to simply change our ways and lessen the burden we place on the planet that does its best to support us because we will only lose more and have nowhere to go if we don’t.